Much has been written about the CIOs role in ‘customer experience,' but what about the foundation for great customer experience, employee experience and engagement? Should 2018 be the year of employee experience? CIOs had a variety of answers to this question. Some honestly asked if they had missed a new buzz word. Fortunately, this was not the case for all CIOs. CIOs--in the know--suggested that 2018 should be the year that employee experience becomes a real trend. They were glad that the employee experience had emerged as a topic. For some of these CIOs, employee experience was a continuing rather than a new theme. They claimed that IT’s biggest clientele is peer employees, so why wouldn’t there be a focus upon employee experience. Other CIOs suggested that 2018 is becoming the year of everything. These CIOs, nevertheless, suggested that employee experience should be considered in every project. They said a better question for the CIOs is how do you balance employee experience in projects? They suggest that employee experience is one dimension of a radar chart for project decision-making. It's should be—in their opinion--a key factor in project quality attributes. They claim that today’s focus should be on transforming culture and ‘digital dexterity’. 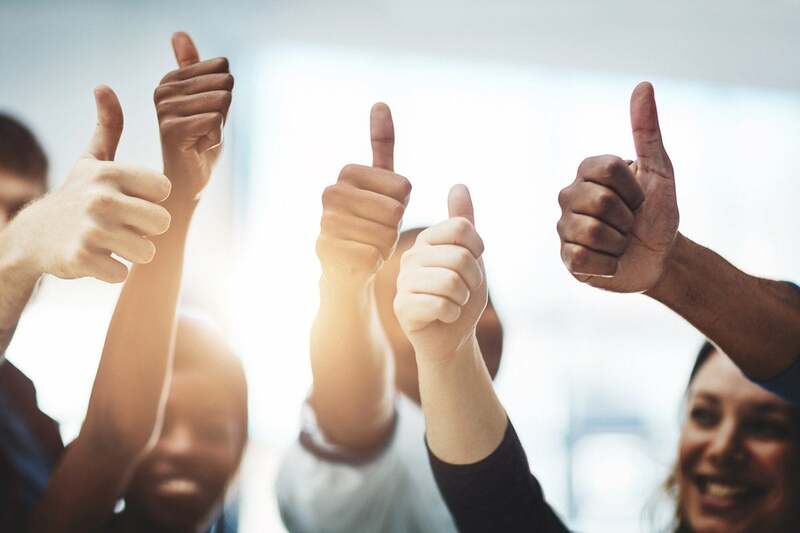 The goal, they say, should be to create a better experience, especially for the growing digital workforce of millennials and Gen Z.
CIOs, in general, get the connection between employee experience and achieving business market goals. They say you cannot achieve your business/customer goals if the tools to do so are hard for your employees to engage effectively. CIOs see two themes driving technology investment today, experience and speed. They say that every initiative should fall into one of these two buckets. Where can better process and technology improve employee experience? If employee experience is the sum of all interactions with your business, how can process and technology improve it. CIOs believe many processes must change. They shared that we still do performance evaluations that are somewhat tied to compensation. And even though they are online, they remain tedious. The process needs to improvement and then we can have better software. CIOs smartly say that everything starts by identifying, contacting, and attracting the right talent. This means creating different types of online materials for recruiting and for positioning job descriptions. Personally, I have found in the past that many large companies make it difficult to apply. They require you to convert your resume via an arcane translator that never gets anything right. These firms, that do not get what Geoffrey Moore calls the move from ‘systems of records’ to ‘systems of engagement’, will soon find themselves unable to acquire the best talent. Confirming this one CIO said that in talking to their recent job applicants, they learned that they wanted jobs sites to look more like the places that they shop online. This CIO suggested that it is important to empower internal teams to improve processes to serve customers and employees better. CIOs added on by saying that poor employee experience is a death by 1000 paper cut issues. There are lots of small processes. These include everything from reimbursements to vacation requests that get in the way of employee happiness and engagement. CIOs said that when they think about the root problems here, a big cause of poor employee experience is corporate ‘legacy tech debt’. Amazingly, they suggest that lots of leaders use ‘legacy tech debt’ as an excuse for not creating a plan for changing things. One CIO said that they talk to executives in information security, analytics, and technology all the time and have not found one that doesn’t say the debt of past tactical engagements are not a drag against future investment. CIOs think it is a good idea to make things easier by updating process or using better technology. One CIO gave the example of Major US Healthcare Company located in the Southwest. The CIO said when you talk to their people, they will tell you tasks require 2 and 3 different healthcare systems. Billing is a minimum of 2. And this complexity adversely impacts their customers. In streamline processes with employee experience in mind, CIOs say that they don't want to make employees jump through silly hoops. Instead, they want to use technology to connect people, personalize their experience, and enable flexible work models. All contribute to a better experience and most important happier, more engaged employees. CIOs think the goal for all projects should not be what process or technology to use. The outcome with employee experience should be well defined first, then you can apply culture, process, and technology to improve the journey. Do your business stakeholders get the relationship between employee experience and customer experience? CIOs were somewhat surprised by this question. One asked me whether I knew the key difference in Zappos mindset? They said, the customer is already on the employee’s mindset. This CIO continued by saying if your culture is already customer obsessed, then your place of most friction is going to be removing blockers from employee to service. CIOs say that employees may be going through ‘administrivia hoops’ to make something happen, and the customer and business manager both are asking "why is it taking so long?" One CIO shared that his company’s CEO addressed an internal innovation summit recently. The CEO challenged every leader attending to focus on the evolution of the customer to an information managed business. The employee-customer interaction points were a critical part of that focus. CIOs were candid with me that most businesses are making two transitions at once - how they use and provide information and how they support their customers using information. Building employee and customer experience simultaneously, however, was not seen as an easy task. What are the biggest gaps to IT employee engagement? On the IT side of things, CIOs suggest that it’s always important to take care of your team. With so many unfilled jobs in technology, it has becoming more visible how well you are doing. CIOs suggest that there are many organizations who need to think more about employee experience and figure out how to move IT from a ‘culture of compliance’ to ‘a culture of trust’. CIO said that it is critical to empower teams to assess and respond. There should clear away layers of authorizations. It is critical to trust your IT teams. Employee Engagement starts by re-discovering empathy. IT isn’t a place of power—it is a place of service. We serve each other and we seek to find the best answer together. This can start by saying an authentic thank you when it is deserved and then recognizing an employee in front of the whole team. One CIO wondered here if Delta employees felt the technology has improved their experience. Delta has a single system feeding their customer and employee systems, but gate attendants still use terminal emulation software for some tasks. Overall, the CIO position shouldn’t be a place of where unilateral decisions are made. The interlock with the business isn't a single project entity. There must be long term strategy. Growth in employee experience is often a result of that strategy. CIOs find the biggest gap tends to be around culture and how IT is treated and valued by others. As an intermediate step, CIO say look at graduated governance. They discussed here the use of risk and change impact as metrics to ‘right size’ the authorization. We all want faster time to market. This is a key area of pent-up value to be released. IT employees want to be trusted partners, involved in all stages of problem-solving and innovation. This means processes should connect with them at all stages. Automated processes need to do the same. CIOs suggest that we live in the age of UX and transformation! Think creatively. Great leaders, engage and know their teams. Great leaders demonstrate real concern and compassion and they are in the front when needed and in the back when the team is recognized. How are you helping managers to engage their teams? CIOs say that whether employees work for the CIO or not, if they have an idea, they should raise it. CIOs suggest that having customer passion matters. To be fair to any leadership team you need a variety of personalities at the top for good execution. In IT, we sometimes lose sight of the fact that people are not widgets. They aren't uniform. One CIO said that we are wetware - messy by design. For all the AI and machine learning to enable them, employees are still people. Buyers are still people. And investment needs to go toward delivering to people in the end. CIOs are concerned that many organizations do not consider employee experience as valuable to their business success. Does the organization even have a shared vision? If not then it is difficult to drive any initiative like improving employee experience meaningfully across the organization. The balance of power has been with employees for at least a decade. The ability to start a business or freelance or leave has never been higher. I had a boss once that viewed his employees as tools or even worse, expendable material. CIOs are clear that employees are asset that can grow in business value with organizations and managers that are focused on employee engagement and changing for the better employee experience. For this reason, business and technical teams need to aim at improving employee experience one interaction at a time.